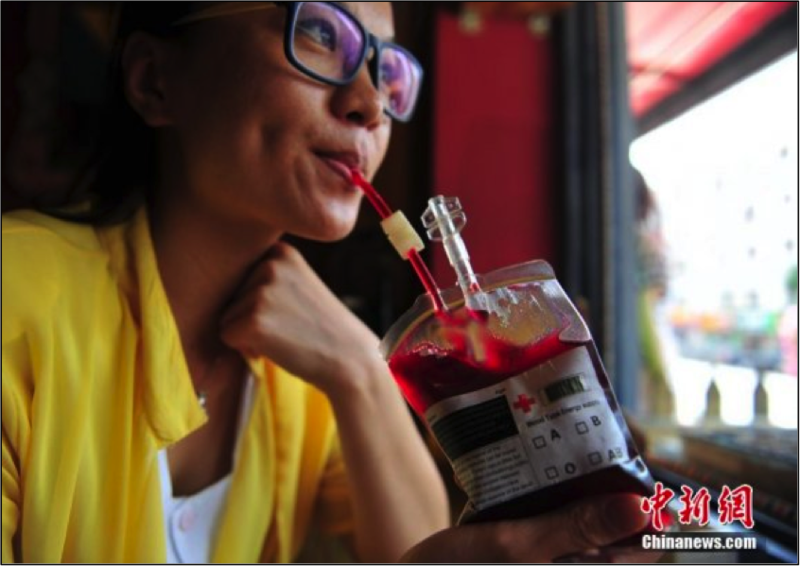 Last week, a story went viral about a new vampire-themed café serving drinks in blood bags that opened in Benxi, Liaoning Province, China. 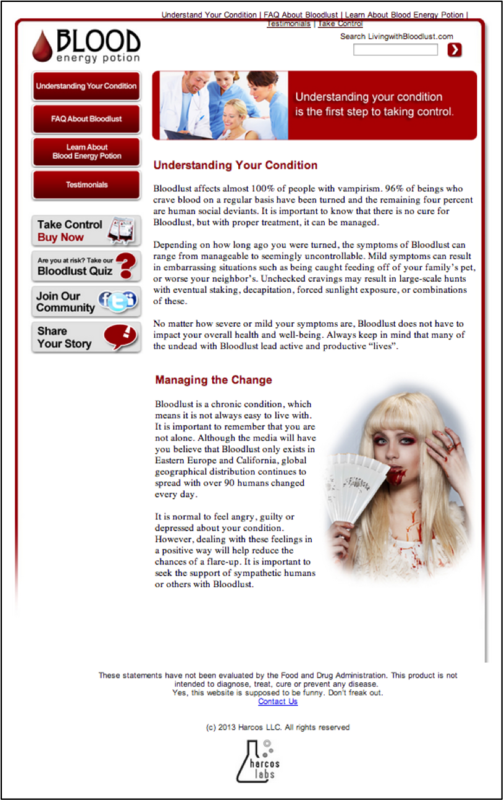 Almost every major publication, vampire and horror-oriented website featured the story. The kicker was, everyone was regurgitating the same info. The real name of the café and contact information was neglected in each article. Call me crazy, but from a PR standpoint this was basically free global advertising. And no one took advantage of it. The story piqued my interest and I immediately went searching for answers. 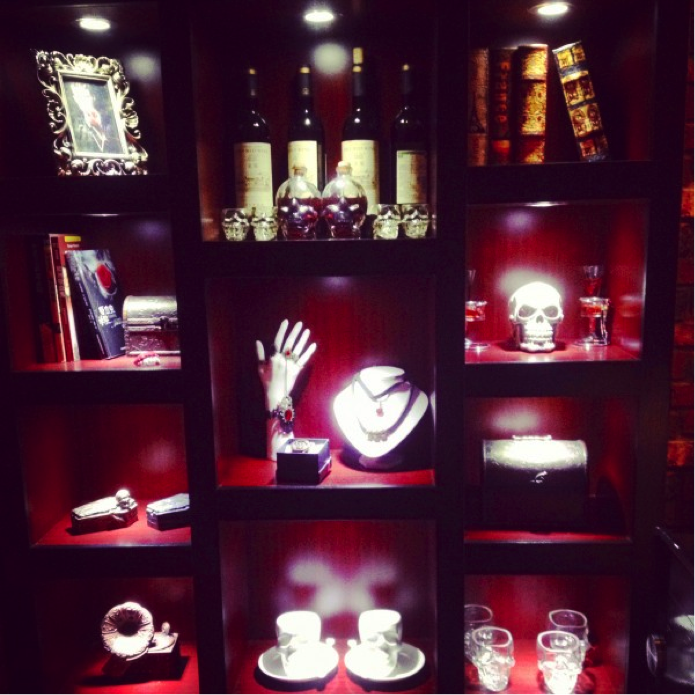 Was this café concept something new or were True Blood and Vampire Diaries fans jumping on hyped-up bandwagon? Also where exactly was this place? Apparently, coffins line the walls and vampire themed-music enhances your experience. Employees dress in nurse and doctor uniforms, which I think kills the vampire atmosphere they’re going for. Manager Hsin Hsia says, “The vampire drama is very popular here. We need to take advantage of this trend. Our cafe attracts a lot of young people. 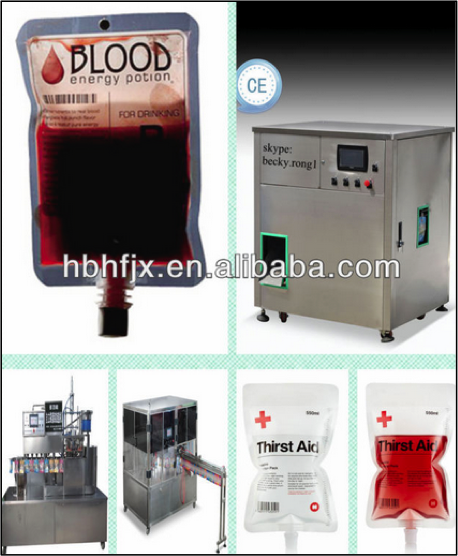 However, older people rarely come because they feel weird when drinking the water in blood bags.” So why throw hospital staff into the mix? No idea! 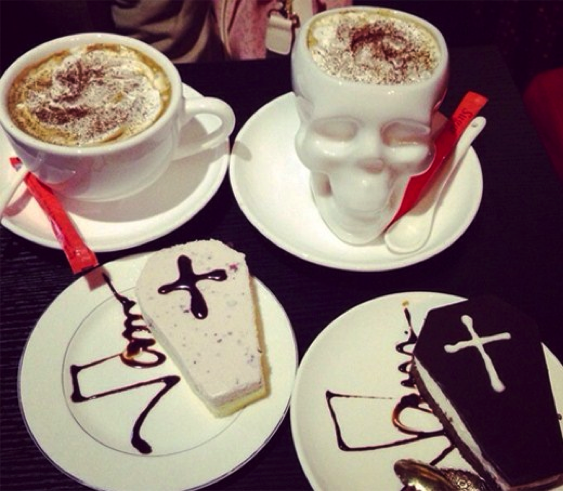 A GBTimes article, posted on July 7, 2014, states, “After catching the attention of local and foreign media last week, the coffee shop has reportedly raised the prices of the blood-like drinks according to China News Service.” Last week, I read articles stating the bloody bevies went for about $5 each. Now, they’re selling for $9.70. Talk about media-influenced inflated prices and gouging your customers! Would you pay almost $10 for a bag of blueberry or cranberry juice or blackcurrant-flavored energy drink called Blood Type Energy Supply? 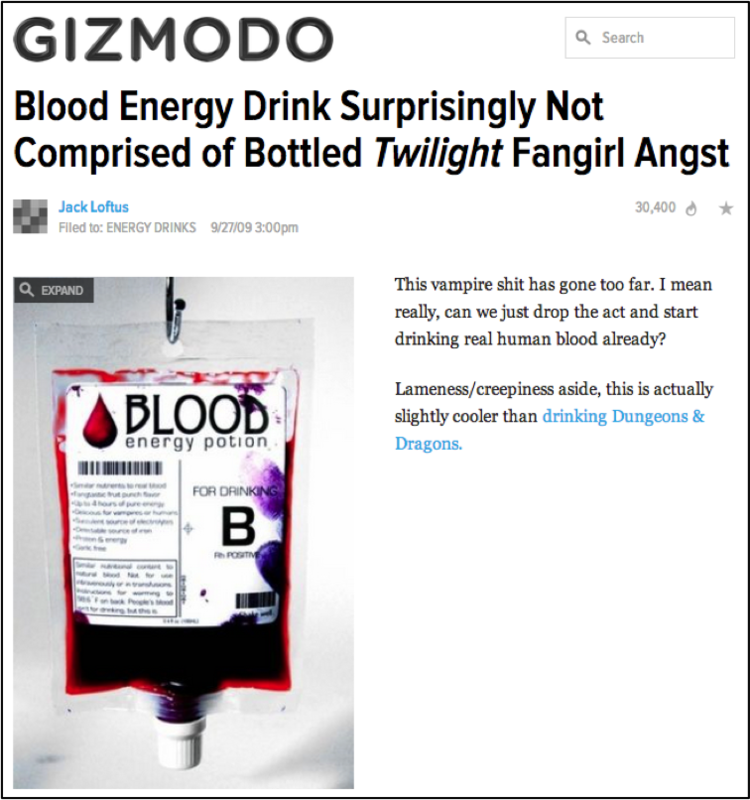 I think it is safe to say Vampire Coffee is just someone jumping on the vampire craze hoping to make a quick buck, but my research didn’t stop here. I wanted to find out if this coffee place was the only one of its kind in China. To my surprise, it isn’t. I stumbled upon this video on 56.com, where some kids had been interviewed about “blood bag” drinks, clearly being sold in the shop behind them. 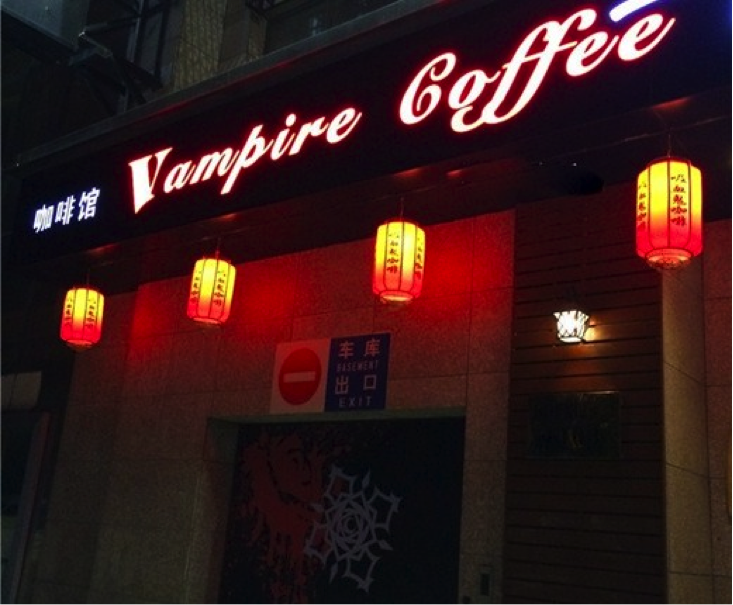 Though I don’t speak Mandarin and I can’t get a date from the broadcast, it clearly shows that Vampire Coffee isn’t the only place taking advantage of the vampire trend in China. 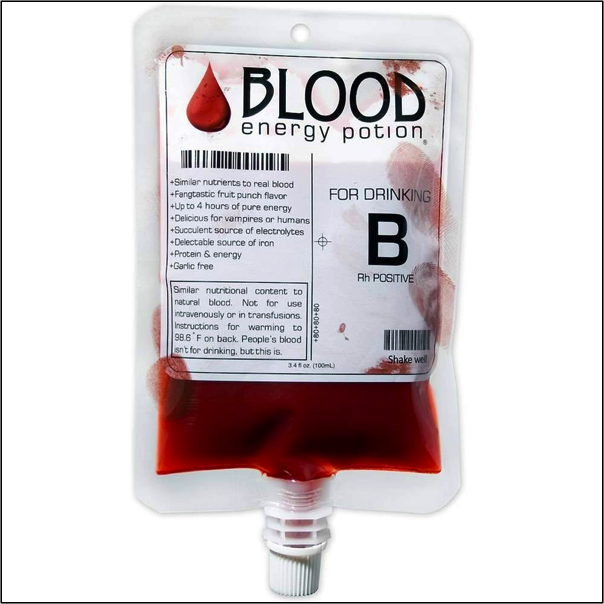 The “Blood energy potion” is supposedly available online in China and, again due to the language barrier, I was unsuccessful finding a site that sold it, but I did find the exact same product available over here on Amazon.com and eBay. They’re selling for $6.99 for a 3.4 oz size. I finally hit jackpot and found a company called Harcos Labs, which is located in California! They specialize in caffeinated products and even target gamers for those all night gaming sessions with your buddies. They are the makers of “Blood Energy Potion” and other morbid treats like Crusty Zombie Toenails and Brain Bits. Their lab is located in the US, but the site boasts they sell their products to places in Europe and even Australia. Is this the supplier that provides Vampire Coffee with their bloody cocktails? Probably not, because the pictures depicted by the media last week from the actual café show different labels. That means it’s probably some cheaper local knock-off. If you need to double check just scroll back up. I’m sure someone over there invested in a production line and must be making a killing off retailers. Funny thing is, some media outlets are using pictures of the US made product for the same story. I guess they didn’t get their facts straight! Well, there you have it folks! I wouldn’t be surprised if you see one of these places pop up over here in Canada or the US next; minus the hospital uniforms, of course. This just goes to show you how much influence successful TV shows have and everyone can cash in somehow on the wave. Also, let’s not forget that the media tends to regurgitate info without investigating in most cases. Cheers everyone and happy sipping! Wow, this is quite fascinating. I knew of bloodlust but not to this extent, that it was actually a condition. But I have to say though, in China, they do pretty much eat and everything. Did you know that in China people actually eat eggs that have been boiling in pee? Literally, pee, yes, pee. People boil eggs in a stew of pee and people on the street buy pee covered boiled eggs.